Stated as one of the deadliest and massive weather events the Southern Hemisphere has ever faced, Cyclone Idai ripped through parts of Southern Africa in the last week. The devastating storm caused massive displacement and impacted refugees across the region, leaving destruction and even death in Mozambique, Zimbabwe, and Malawi. In Zimbabwe, the Jesuit Refugee Service (JRS) is present at the Tongogara refugee camp. Located near Chipinge, Zimbabwe, the camp is home to more than 10,000 refugees, the majority of whom have fled from the Democratic Republic of Congo. 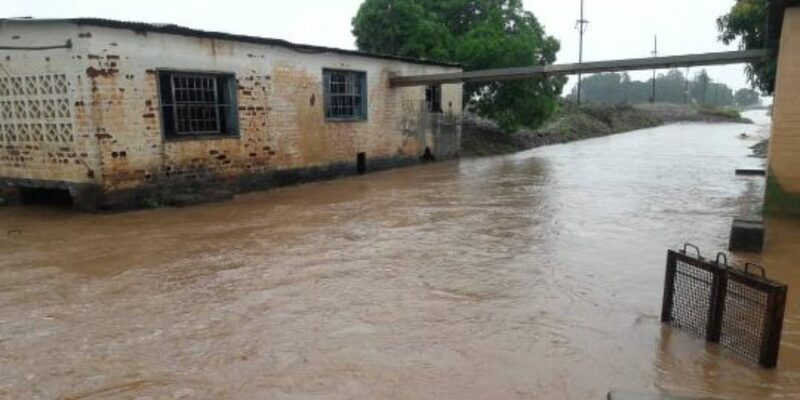 Cyclone Idai has caused massive damage in the camp, which sits in a low-lying area next to a river. It has been cut off from the rest of the country due to the overflowing river, and is one of the most damaged areas. 845 individuals in the camp have be affected by the cyclone. The refugees and asylum seekers impacted have already suffered greatly, fleeing from their home countries in search of safety and security. The small granaries were soaked in water. Most of their belongings were also soaked. For the past five days the camp has no adequate water supply because the electricity line is down. More than 90 per cent of the refugees stay in unburnt mud brick houses. The three days of wind and rain caused the mud houses, shops, toilets, and other structures to be leveled to the ground. More than 100 households collapsed. Even those who remain in mud houses fear their homes may still give way because the walls are wet. The knee high water caused latrines to flood, sending waste floating through the camp, and ruining the grain supply, which was soaked. JRS Zimbabwe is coordinating the relief effort and organising for the collection of items at the JRS regional offices in Johannesburg. For more info on the JRS Southern Africa office visit their website.